It is a day like any other at Mahavir Cancer Sansthan. The driveway is lined with people who have travelled a long way to get to this charitable hospital in Patna. Families sit huddled, holding their bags close. The lobby is even more crowded, rather like the ticket buying hall of a train station. The hospital gets between 60 and 100 patients every day – a substantial number for a 400-bed hospital. Ashok Ghosh, who heads research at the hospital, said that the load is such that “surgery has a two-month waiting list even though the disease might become inoperable by then”. One reason this hospital is receiving so many patients is the dismal state of public healthcare in Bihar. Government hospitals are understaffed and poorly equipped. While the state has seen a jump in the number of private hospitals, most of them are too expensive for middle income and poor families in the state. Most of them, Ghosh said, end up coming to Mahavir Cancer Sansthan. But lack of affordable care is not the only reason. Tata Memorial Hospital in Mumbai, one of the best cancer treatment facilities in India, gets about 25,000 patients every year from around the country. In contrast, Mahavir Cancer Sansthan gets nearly as many at about 22,000 patients last year despite drawing patients from just Bihar, Uttar Pradesh and Nepal. Many of these patients suffer from cancers of the gall bladder or liver, both which are associated with arsenic toxicity. Why is the Cauvery such a recurring flashpoint between Karnataka and Tamil Nadu? In recent days, an array of hypotheses have been advanced to help answer that question. Some of these are broad in their scope – tracing the long history of the conflict. Others focus on the here and now – rainfall patterns and reservoir levels this year. Yet others have taken a more sociological look – which is how we ended up with diagnoses that include political grandstanding, Kannadiga nationalism, the role of the media, and more. In the process, however, some ecological questions have not received the attention they deserve. the second — and concluding — part of our trip down the Noyyal (see previous post). A slum sprawled on one side of the river. In the distance, a factory belched smoke in the air. The riverbed was overrun with weeds and crammed with plastic bags that were half buried into the earth. An earthmover scooped gunk from an open drain and dumped it on top of the debris. The river itself was a thin trickle of black. Welcome to Tirupur, an industrial city in central Tamil Nadu, where India’s judicial system tried – and failed – to save a river. The Noyyal is a small river which starts in the western ghats and flows 170 kilometres to merge into the Cauvery. It passes through Tirupur, where factories have been emptying out effluents in its waters ever since a textile hub came up in the 1970s. After the state failed to protect the river, in 1996, the Supreme Court intervened. It ordered dyeing units in Tirupur to shut down if they could not stop polluting the river. Fifteen years later, in 2011, the Madras High Court followed up by applying the “Polluter Pays” principle, directing the dyeing factories to become zero discharge units by recycling waste water and pumping it back for reuse. Since then, the larger units in Tirupur have set up their own effluent treatment plants. The smaller ones have come together to set up Common Effluent Treatment Plants. In all, 18 CETPs are operating here. But the river still does not look clean. The first part of this series flagged how the state administration in Tamil Nadu has been unable to protect the Noyyal. That story traced the river’s journey from its source till Coimbatore. This story looks at what happens to the Noyyal after it leaves Comibatore, and why even judicial remedies to protect the river have failed. A narrow little rivulet splashes down, bouncing from boulder to boulder as it descends the rockface. It pauses to catch its breath in a tiny pool limned by trees, before rushing downhill again, merging with other streams to form a small river called the Noyyal. For centuries, the river’s 170-km course used to take it past the farms, forests and villages of Tamil Nadu, before sinking it into the embrace of the great Cauvery. In recent decades, this landscape has changed. Noyyal’s basin – the area drained by the river and its tributaries – has become one of the densest urban landscapes in the state. The cities of Coimbatore and Tirupur, which are located here, are now among India’s leading industrial clusters. The basin has seen an exponential rise in population. Between 1991 and 2011, the number of people living here doubled from 19.5 lakhs to 42 lakhs. With more people settling in the cities, the urban population mushroomed from 9 lakhs to 33 lakhs. Such a large number of people moved to the cities that the rural population actually fell. Spikes in population, urbanisation and industrial activity bring with them questions of sustainability. At Kovai Kutralam in Kachimanathi Reserve Forest, one of the starting points of Noyyal’s journey, the water is so clear, you can scoop it up to drink. What happens as it flows ahead? The first of a two part series on the river. this is the first of three opinionated stories i wrote for et’s 50th anniversary. i cannot find the links to these on the website, and so am pasting the raw text itself. Blackened and twisted from the heat of the reaction, tank 610 lies on its side. Twenty-six years ago, on the night of 2nd-3rd December, it is from this tank in Union Carbide’s Bhopal factor that Methyl Isocyanate leaked out and spread, cloudlike, across a large part of the city. It was the world’s worst industrial disaster. Official numbers estimate that almost 4,000 people died that night. Tens of thousands were permanently disabled. It’s an event that exposes a strange paradox about the Indian state. Think about it. On one hand, in the years after the leak, India made radical changes to her environmental law. Till the leak, industrial risk was understood as something confined to the factory. It was not till Bhopal that the definition of the community at risk widened and brought the community living around the project into the calculus of industrial risk. The legislative response was the Environmental (Protection) Act (1986). It authorizes the central government to protect and improve environmental quality, to control and reduce pollution from all sources, and to prohibit or restrict the setting and/or operation of any industrial facility on environmental grounds. Today, it is an umbrella Act from which myriad other environmental laws, like the Environmental Impact Assessment notification, etc, derive their authority. This landmark legal principle, says Upadhyay, was developed in the backdrop of Bhopal. Joining other environmental principles like Polluter Pays and the Precautionary Principle, it has been used extensively since then. It shows the caring side of the Indian state. But, look at how the victims have been treated, and you see something strikingly different. In all these years, regardless of the party in power, the victims’ struggle for compensation and treatment has continued. A combination of disinterested gas relief hospitals and almost non-existent medical research into the effects of the gas leak on humans has resulted in the gas victims getting little more than palliative treatment for their medical problems. The symptoms get treated but little else more. Poor attempts at social and economic rehabilitation have resulted in them sinking deep into poverty. Saddest of all, the number of victims has been swelled by a second generation of victims. Some are children born to badly-affected survivors are blind, lame, with limbs twisted or missing, deaf and mute, brain-damaged, with hare-lips, cleft palates, webbed fingers, cerebral palsy or tumours where there should be eyes. Others are those who unknowingly bought land abutting the ponds outside the plant where Carbide used to dump its chemical slurry. This water-affected population, reports Sambhavna Clinic, a charity set up to help gas victims, is showing an incidence of birth defects that is ten times the national average. The Indian state of Maharashtra has taken a step towards using water more sustainably. Will the rest of India follow? Unlikely. If you ever need to understand the water crisis that looms over Maharashtra, Jayakwadi dam in Marathwada, built on the Godavari river near a town called Paithan, is a great place to start. Its reservoir rarely fills up. Which is odd. There is water in the river. Jayakwadi itself is well-engineered, one of the phalanx of dams built on this river during the sixties and the seventies. In those days, the state was building dams with gusto as it tried to correct its gravely skewed rainfall distribution — Maharashtra gets 90% of its rainfall between June and September, mostly over the Western Ghats. To correct that inequity, it built dams to stockpile water. It dug canals to take this water where rivers did not go. And then, proving once more that old shibboleth that supply will create its own distortions, farmers near the dams saw this perennial gush of water and switched to water-intensive cash crops like sugarcane. As they prospered, other farmers demanded more water as well. The state built them dams too. The technical term for this appeasement is supply side augmentation. It is the prevailing orthodoxy in India’s water management circles. Every time demand for water threatens to overtake supply, it says, build a dam, stop the river from flowing uselessly by, and use that water to meet demand. These new dams, crudely tacked onto the original plan, captured a larger part of Maharashtra’s share of the Godavari’s waters well before the river reached Jayakwadi. The result: In the past 31 years, estimates the dam’s superintending engineer, Ajay Kohirkar, Jayakwadi has filled to 75-100% capacity just eleven times. All the other years, local farmers got little or no water. Today, local villagers are on the warpath, complaining dams upstream do not let enough water through. Jayakwadi is just a synecdoche. It is the part that exemplifies a larger, altogether more unnerving reality. Every major river in Maharashtra flows through other states before emptying into the sea. The Krishna heads into Andhra. The Tapi and the Narmada flow into Gujarat. Travel east from the Western Ghats, comments SK Ghanekar, executive engineer and under-secretary in Maharashtra’s water resources department, and you will find dams that fill up less and less frequently. On each of these rivers, Maharashtra has built enough dams to capture its full quota of water – about 125.94 billion cubic metres (BCM) of the 163.82 BCM that courses through them in a year. Needless to say, all the water captured in these reservoirs is fully utilised – pushed into homes, factories and fields. The starting point is irrigation. It accounts for 75-80% of all water consumption in the state. More judicious use of water here will result in savings that can be then be used to quench water demand elsewhere – in other sectors, or to expand irrigation coverage. And so, in the middle of last year, the state passed two laws – the Water Resource Regulatory Authority bill and the Farmers’ Management of Irrigation Systems Act. From now on, two things will change. One, the state water regulator, a newly constituted body called the Water Resource Regulatory Authority (WRRA), will decide how much water every reservoir along the Godavari, or any other river, can store. Supply and demand equations, really. The tougher question, however, is on water allocation within the reservoir. How does the state choose between domestic water supply, industrial water supply and agricultural use? Domestic water supply is needed if people in Maharashtra are to survive. Industry is where jobs are being created, where the state gets its revenues from, where economic growth lies. And so, the state will continue to allocate water first to homes and local industry before meeting irrigation needs (the state water policy of Maharashtra is unique in that it gives primacy to industrial needs for water over agricultural needs), but it will decentralise water distribution to ensure the remaining water reaches all farmers. Indeed. Today, between corruption and poor monitoring, farmers at the head of a canal guzzle far more water than they are entitled to. Those further down get no water at all. The new laws, centering on water user associations, are meant to fix that. You might have heard of Pani Panchayats — where the local community allocated water among its members. That is what the WUAs are like. From now on, all farmers will have to join these associations. The state will deliver water only to these, following a ratio that links the water each WUA gets, to the total area cultivated by the WUA members. Every WUA will use the same principle while allocating water to its farmer-members. What will this achieve? Tighter scrutiny, says Sodal. We cannot, he says, “monitor all the farmers in the state. In the new structure, there will just be 10-12,000 WUAs and the state will supervise those.” It will also make the system much more sustainable, he thinks. Once a farmer knows just how much water he will get, he will know what to grow. If he isn’t getting enough water to grow a water intensive crop like earlier, he will move to a less demanding one, or continue to grow the first crop, but in a smaller area. Impeccable logic. Will it really work? The scheme ran into a storm of opposition. Some of it was richly deserved. In an ivory-skulled move, the state government linked the scheme to family planning. Farmers with more than two children, it decided, could not join the WUAs. Opposition was inevitable. There were other qualms. The new regime sees water as a tradable right. A company that wants more water than it has been allotted can buy from others. For that matter, a farmer who wants more water can buy from other farmers. This touched a raw nerve. In May, shortly after the laws had been passed, human rights activists hit back. Water was a fundamental right, they said, not something that could be brought or sold. They criticised the creation of the WRRA, saying it would take the water debate out of the political arena, make it a commercial process, that the whole idea of social justice and entitlements would be demolished, and take something as basic as water into the realm of negotiable rights. A brief digression now. The main reason for writing this story was to understand why, despite knowing that India is galloping towards a water crisis, we continue to take such half-hearted steps to resolve it. This is the first big stumbling block. Everyone involved in the water debate is locked into ideological positions. A few days after starting work on this story, I attended an activist meeting called to devise a strategy to counter the World Bank, water privatisation and the colas. It was an unedifying event. The arguments were little more than shrill rhetoric. The World Bank has double standards. It has one set of norms for lending to developed countries, another for developing countries. It is giving loans, not aid. It aims to capture India’s water resources. It is pushing a privatisation agenda. And so on. Markets excite strong feelings. This lot hated them. Water, they said, is an inalienable right. It cannot be traded. We won’t let you. Silos like this distress Ramaswamy Iyer hugely. A former secretary to the Government of India, he is one of the most formidable experts on water in this country today. There are, he says, different ways of looking at water: as a commodity like any other, as a life-support resource and a basic human right, and therefore as a common pool resource, and as a `national resource’, i.e., the property of governments. The moment people pigeonhole water into one category further discussion on how to manage it becomes impossible. It is a shame. At that activist meeting, the audience comprised regional NGOs and farmers. The concerns were valid. The farmers were worried that water tariffs would be higher than what they could pay. Similar silos, Iyer would tell me, have led to an complete absence of debate on the big dams. After the barrage of opposition that Sardar Sarovar ran into, official Indian attitudes towards dams have hardened. Less debate is entertained now. Having said that, apart from being a common property, a fundamental right, a commodity fit to be traded, water is also a finite ecological resource. Maharashtra has an idea that might ensure sustainable and equitable use of its water resources. The question really was: would this work? To check that, this reporter went to Ojhar. 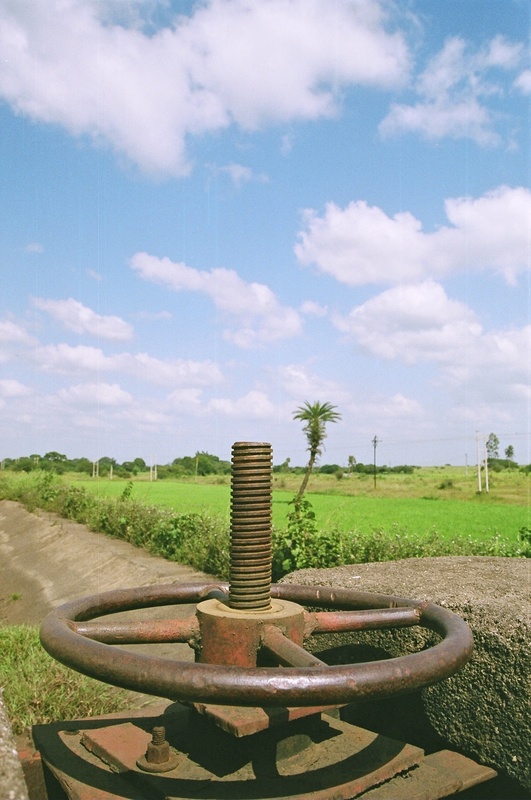 In participatory irrigation circles, this village near Nasik is famous. Nearly 15 years ago, its farmers came together, formed water user associations, and took over water allocation, linking water supply to landholding. Much the same way Maharashtra is trying to do right now. By 1990, the farmers of this village were fed up. It was a familiar tableau. Farmers near the local dam, Waghad, were growing cane. Lying at the tail of the local irrigation canal, Ojhar got no water at all. 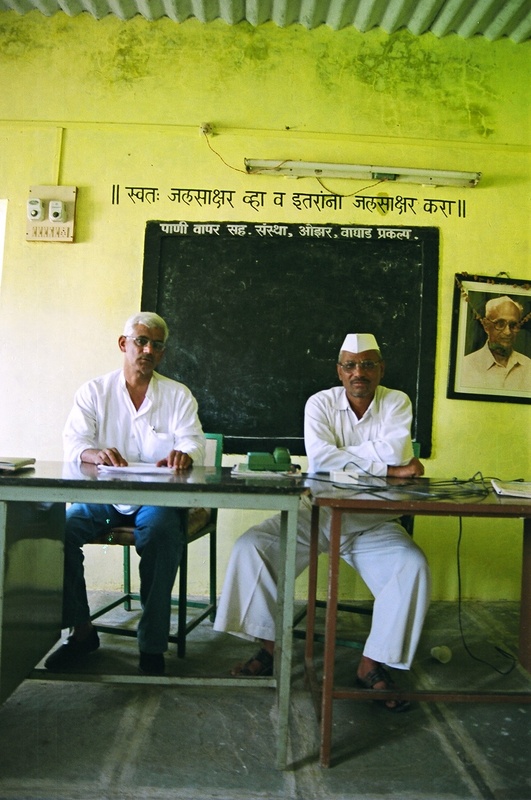 That year, led by two locals, Bharat Kawale and Bapu Upadhyay, the villagers did some math. Between them, they farmed 1,151 hectares. Waghad was supposed to irrigate 6,700 hectares. And so, reasoning that one-sixth of the irrigation waters at the dam belonged to them, the villagers told the irrigation department as much. We weren’t, remembers Kawale, “willing to hear any excuses why the water could not reach the village. All we said was ‘we don’t care. That is our share of the water. If it doesn’t reach us, we will agitate.’” As a lolly, they assured the department that the WUAs would distribute water and collect payments. The farmers were told they would get water according to their landholding. That seemed to be the most sustainable and transparent way to share the irrigation waters. In the fifteen years that have lapsed since, cropping patterns have changed. Take Ramnath Wable. Before 1990, he grew onion, fodder, wheat and bajra. Earning Rs 50-60,000 every year. Today, he grows grapes, onions and tomatoes. And makes Rs 5-6 lakh a year. The villagers also began husbanding their water carefully. Any spare water is captured in check dams to increase percolation. In all, the experiment was so successful that all the villages between Ojhar and Waghad formed their own WUAs as well. In Ojhar, the fundamental breakthrough was the creation of these de facto water rights. Days after starting work on this story, I traveled to a village near Jaipur called Kaladera. This village is best known for its protest against a local Coca-Cola plant it blames for an alarming drop in groundwater levels. This is not great agricultural area. The rainfall is poor. The local river dried up years ago. All farmers depend on groundwater. Till about ten years ago, says Chiranji Lal Bhala, up-sarpanch to the village, groundwater could be found 15 feet underground. But now, villagers have to stab bore wells 125 ft deep into the earth before it yields any water. In the old days, an old farmer sitting near us adds, all a farmer needed was a 3hp pump that came for Rs 3,000, and took up another Rs 400 in monthly power bills (for a ten bigha plot). But now, to draw water up, he needs a 10 hp pump. This costs anywhere between Rs 8,000-9,000, and ate up power worth about Rs 2,250 every month. Small farmers couldn’t afford any of that. Rights are important. In their absence, water will continue to be allocated, but according to political or economic rationales. And, so far, water rights have been something of a chimera in this country. In Kaladera, the local community, even though it was living in a badly water stressed area, had no say on how the water it was dependant on should be used. The closest India has come to awarding water rights, says Videh Upadhayay, an environmental lawyer, is the 73rd amendment. It empowers the local community to make decisions on watersheds, water management, and minor irrigation work. But it is vaguely worded. It is not clear whether this gives the villagers operational or managerial control over the water resources. In Kaladera, bereft of any incentive to use their water responsibly, the villagers weren’t trying to conserve water either. Then again, a similar debate took place when the government reserved a third of all seats in local body elections for women. A lot of men continued their hegemony by nominating pliant women from their households. And yet, some women did take advantage of the provision and went far beyond being figureheads. In this case, the linking of water supply and landholding will tell farmers if they are being shortchanged. They may not speak up immediately. But eventually? As Maharashtra tries to balance agricultural employment and industrial growth, a lot depends on how its sugar lobby behaves. Unless it shifts to drip irrigation or shifts to another state it is hard to see any significant efficiencies coming about. In which case, with the state loath to sacrifice either domestic or industrial quotas, the water allotment to the rest of agriculture will fall steeply. Which will spell doom for farmers in the state. Also, if the sugar lobby continues as ever, it will get harder for the state to attract fresh industrial investment. This isn’t really a story about Maharashtra. The state is merely the first to reach a quagmire that the rest of the country is still hurtling towards. Across India, not only is demand for water rising, the available supply is shrinking — partly due to pollution, partly due to profligate use. The reliance on dams has created unsustainable cropping patterns across the country. I was surprised to learn paddy should not be grown in Punjab, till I learnt that farmers in Rajasthan, near the Indira Gandhi canal, were growing paddy as well. So far, the outcomes of such conflicts are far from satisfactory. They yield winners and losers. In Kaladera, the small farmers got hammered. In Chhatisgarh, the Jindals are erecting a dam on a river called Kurkut; this will generate hydroelectricity for running their plant. The consequences downstream can be imagined. Or take Chennai. As it taps into water sources farther and farther inland, be it the Veeranam lake, 235 km south of Chennai, or the Kandaleru dam, 170 km to its north, it is snatching water from farmers. So far, all we have seen are short-term solutions — be it more dams or river inter-linking — that let people carry on as usual for a little longer. The country is, comments RS Pathak, senior water resources specialist at the World Bank, “trying to solve a problem of the 21st century with 19th century thinking.” When the system falters, you and me install pumps, or buy water from tankers that transfer the shortage elsewhere. Recharging the aquifers through rainwater harvesting will not solve the problem, says an water expert at the Planning Commission; it can at best mitigate the human impact. Longer term, as Iyer says, the only solution is to restrict use. Water has economic uses as well as life support functions. Companies, for instance, should be charged punitive rates so that they recycle. As for the citizens, water consumption beyond a level should also be charged punitively as well. But what is the likelihood of any of that happening? Water is a state subject. Maharashtra acted only when it had no way out. I suspect the other states will wait just as long. Everything the previous paragraph suggests could be political hara-kiri. A quadrupled water bill will make voters cross. Companies, unwilling to pay more, might set up shop elsewhere. Loath to see either happening, India’s states are doing something more unseemly. They are grubbing around for water. Which is why we have these disputes between states. Punjab recently cancelled its water treaties with Haryana. The Cauvery is another example. Both the warring states, Tamil Nadu and Karnataka, says Iyer, get enough water from the river to manage. But farmers in one want to grow three crops of paddy every year. Farmers in the other want to grow cane. I find this ironic. This country has worked out water-sharing accords with its neighbours. But not within its own boundaries. World over, when allocating water, nations plan for the entire river’s course. But not in India. When mooted, the idea was resisted by every state. That would take their control over water away. Four horsemen of the apocalypse. The lack of rights. The weak relationship between the centre and the states. The need to look past these silos on what water is. The need to look beyond supply side shenanigans. Can we master them? If not, sponge baths will become a reality.